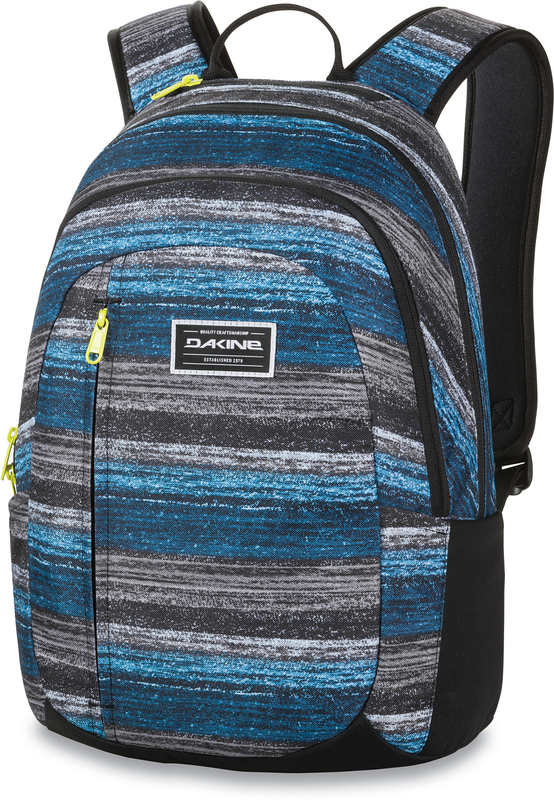 The streamlined Dakine Factor is a slim-fitting pack for a less bulky look without sacrificing storage. The Dakine Factor backpack features a roomy main compartment with a secure laptop sleeve, an organizer pocket, a fleece-lined sunglass pocket, plus a low-profile front zippered pocket and mesh side pockets. Everything has a place in this compact carrier, room for all you need to throw in there.